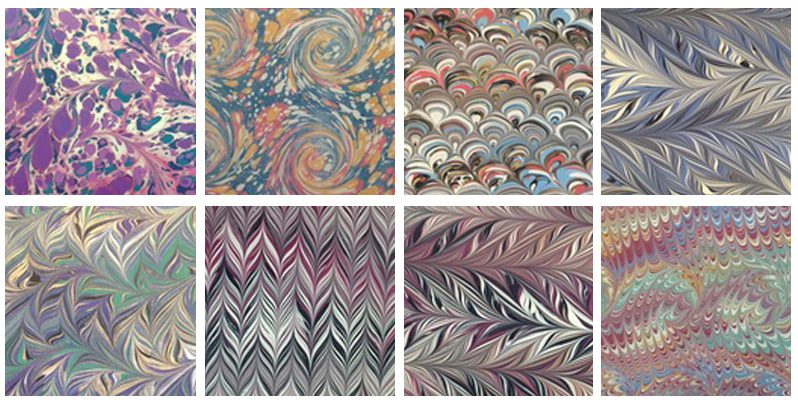 We are a professional full-time paper marbling studio based in Wiltshire in the UK. 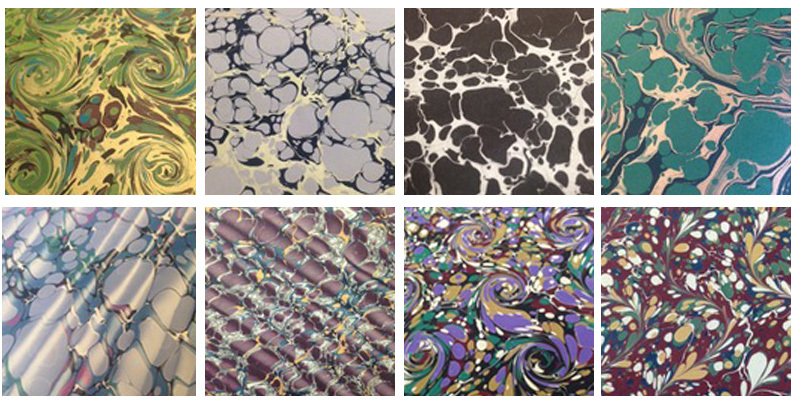 We have a range of 63 standard hand marbled papers and are adding new ones all the time. We also offer a range of services from paper matching and bespoke and custom orders to Licensing. 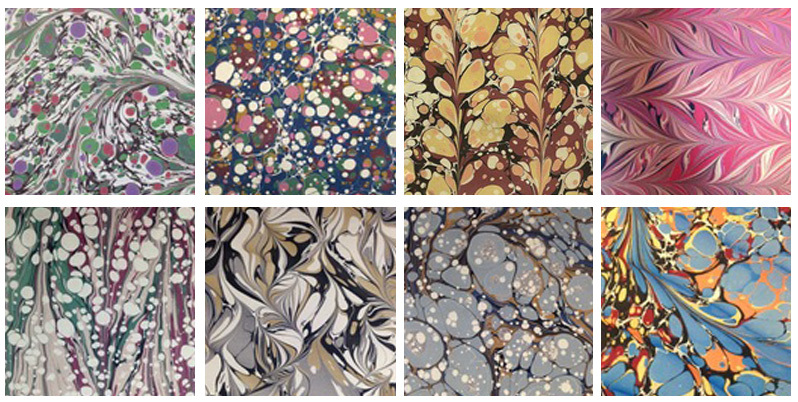 In addition to our standard marble paper designs we have many one-off and limited edition patterns and a large collection of both traditional and contemporary marbling. 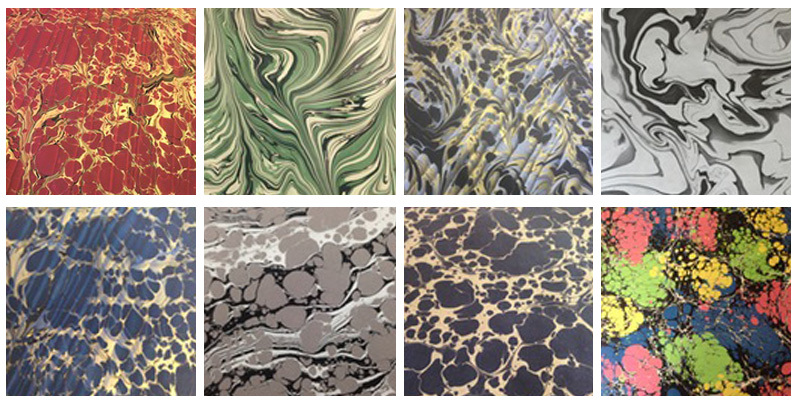 We produce our marbled paper for bookbinders, publishers, designers, interiors, restorers and retailers. Trade and wholesale customers are welcome. Our website enables you to purchase our marbled papers via our online shop but we still welcome orders via phone, email and post.